The Elephant Nature Park in Chiang Mai. Beautiful Thailand–with its incredible sights and intriguing culture and history–is high up in the bucket list of many travelers. Who can resist its white sand beaches, temperate climate, and über-delicious food? Its golden Buddhas and ancient temples are well worth a visit as well. Thailand has many popular destinations. Its capital Bangkok, in particular, is the most visited city in the world this year with its first-world conveniences at a lower cost of living. You can stay for weeks and months in Bangkok and not want to leave. However, a lot of foreign visitors head out immediately to the islands, and no one can blame them. Thailand has so many top-rated islands that it would be quite difficult to choose which to visit. If you’re a backpacker who’s into partying, Koh Pha Ngan is the best one for you, with its well-known full moon party. Other highly recommended island destinations include Phuket, Koh Samui, Kho Phi Phi (where the movie The Beach was shot), and Koh Tao. Several smaller towns and cities have also attracted a lot of foreign visitors. Ayutthaya is a favorite because of its proximity to Bangkok and its ancient temples. The Buddha head enveloped by the tree can be found here. Chiang Mai and Pai, on the other hand, are the top choices of expats because of their low cost and slower pace of living. 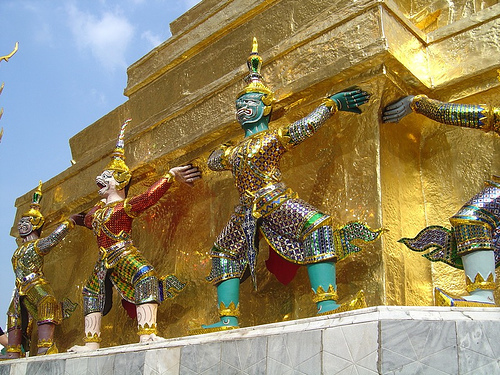 Chiang Rai draws in tourists from these two cities. Aside from its natural attractions, Thailand is also well-loved because of its people who are generally friendly and gentle. You won’t see a Thai shouting in public; for them, it’s bad form to lose their cool. For the Thais, life is about sanuk, or “fun.” In everything they do, having fun is the first requirement. The people are really easy to get to know, too. Just practice some Thai words–like greetings, saying thank you, and the counting numbers–and they will be very pleased when you practice it with them. Join them in drinking, singing, and eating out, and you will have friends for life! Thailand is also a good country to learn about spiritual practices like yoga and meditation. As a result, you won’t find it hard to find either yoga classes, or yoga teacher training programs anywhere in Thailand. With its low cost of living, convenient transportation, and a wide variety of getaway spots, Thailand is becoming the top choice for travelers, backpackers, expats, and even for retirees looking for a place to settle down. This is Thailand, the Land of Smiles. Patanjali Institute has a unique program that combines yoga teacher training and clinical hypnotherapy training in Chiang Rai near Chiang Mai. If you want to enroll in our Yoga Teacher Training Course Thailand, check out our schedule for upcoming classes and availability. 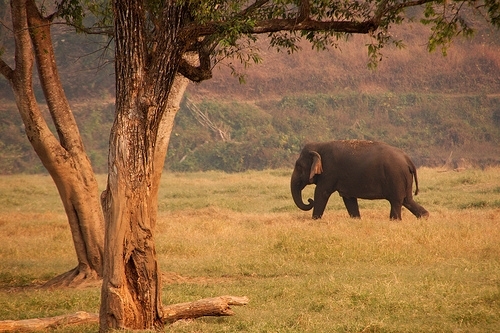 Elephant Nature Park by Christian Haugen under CC BY 2.0. Thailand: Bangkok by puuikibeach under CC BY 2.0.